Cooking more meals at home is good for your health and your wallet. With a little planning, you can fit it into even the busiest week. The goal is to make the most of the time you spend in the kitchen. 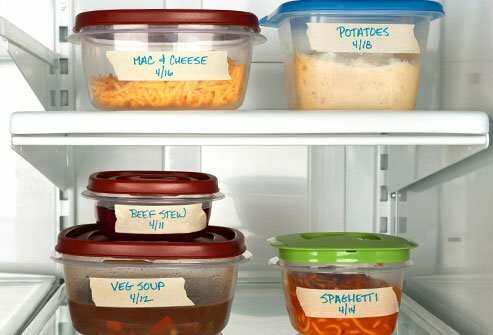 Start by listing your meals for the week ahead, and be specific. 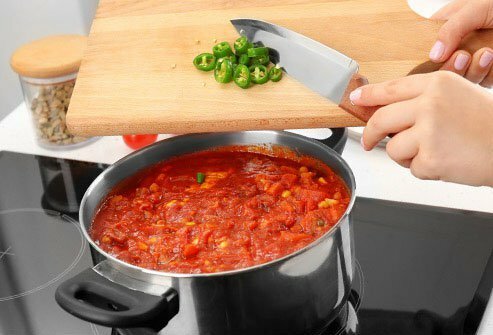 You could even make a basic outline for each week: chili on Monday, pasta on Thursday, and tacos on Friday. 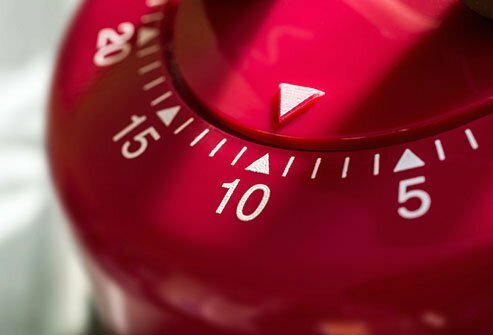 It can make planning easier, and some people, especially kids, like knowing what to expect. Start simple. Turkey chili and roasted vegetables are a cinch to make and reheat easily. Lasagna or fish stew, on the other hand, take more work and may not stay as fresh. When you find a recipe that looks good, save it in a file or spreadsheet. Once you make your picks, make a list of each ingredient to buy, including how much you need. Apps and other online tools can help you figure out exact amounts. Look for foods that work in a few different dishes. 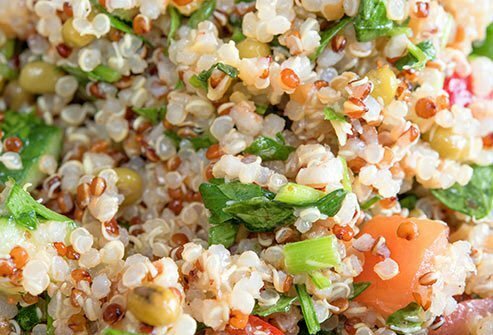 For example, you might use quinoa to make a side dish, add to a salad, or as part of a grain bowl for lunch. A roast chicken can be an entrée, added to a soup, or served in tacos throughout the week. And if there's any left over, you can freeze it. 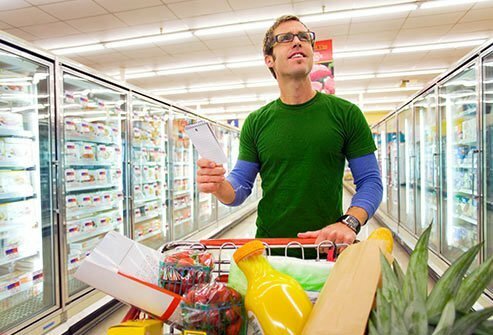 Once you have your list, pick a shopping day that fits your schedule. Maybe you like going to the neighborhood farmers market on Saturdays or hitting up the grocery store on a weeknight when it's not busy. Be sure to buy just what you need. And don't let the sight of a week's worth of groceries overwhelm you when you get home. Remember, you don't have to shop and cook on the same day. Cooking more food at once makes it easier to put together healthy meals on hectic days. Pick a day of each week to prep as many of your dishes as you can. And make it fun! Put on some music. Invite a friend over to share the work and the food. Or turn it into a family affair -- everyone gets a job that matches their age. If meals for a full week seem a bit much to take on, start with 2 or 3 days' worth and prep another dish later in the week. 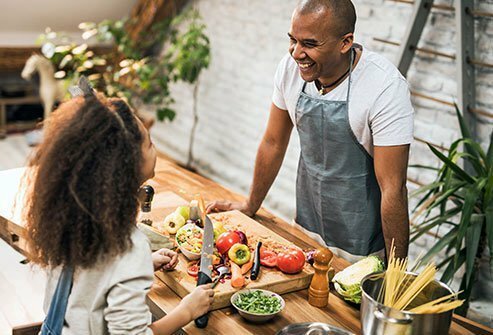 On prep day, start with foods that need the most time on the stove or in the oven: cooking meat, roasting vegetables, soaking or simmering beans, making quinoa. Once you have those pots and pans going, you can do quicker tasks like washing lettuce or chopping carrots and celery into handy snack sizes. 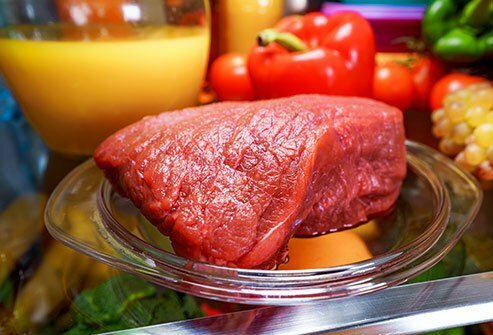 If you don't like to pre-cook your meat, put it in a marinade so it's ready to toss into the pan or oven when you need it. A few "go-to" foods are always good to have in the house for a snack or to add to a meal: Nuts and seeds, washed greens, hard-boiled eggs, chopped fruit. 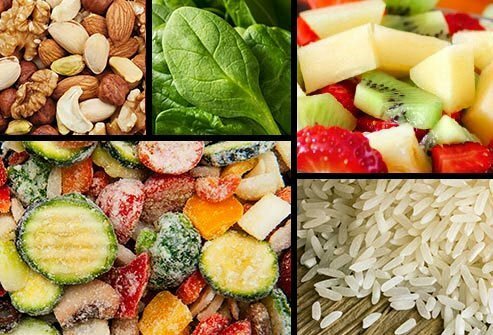 Quick-fix foods that keep for a long time are also good, like rice, dried pasta, canned tuna, and frozen veggies. They make it easy to throw something together, even when you haven't been to the store in a while. If you know you use a lot of some ingredients or recipes, double or triple the amount you cook at once. You can save yourself the hassle of cooking beans, boiling eggs, or steaming veggies several nights per week. 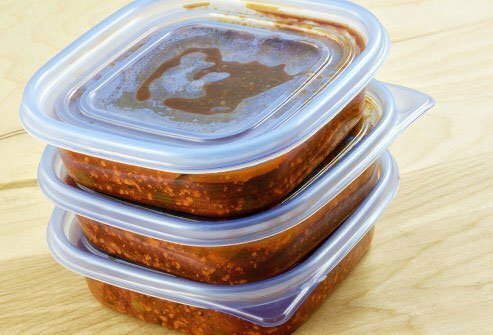 Divide large recipes into ready-to-go single servings, and you may save yourself some time during the week. It can also keep you from eating too much. Put each serving in a re-sealable plastic bag or glass container. 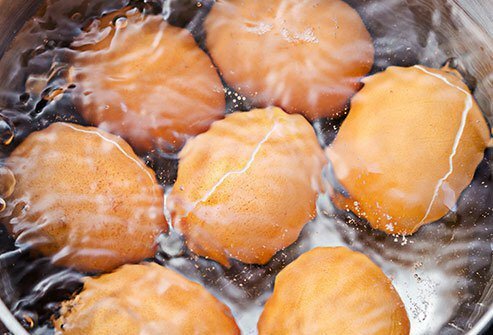 You can also pour soups, stews, and broths into silicone muffin tins, freeze them, and pop the pieces into a plastic bag after they harden. 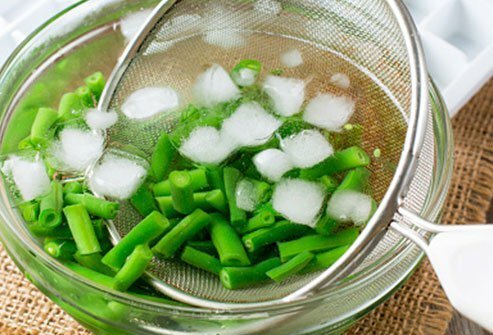 You can "blanch" your vegetables -- dip them in boiling water and quickly cool them -- to make them last longer in the freezer. Bonus: it also brightens their color, seals in taste and vitamins, and helps get rid of germs. Wash them off and cut them to the right size before you start this process. You can pre-make five at once and have lunch all week. 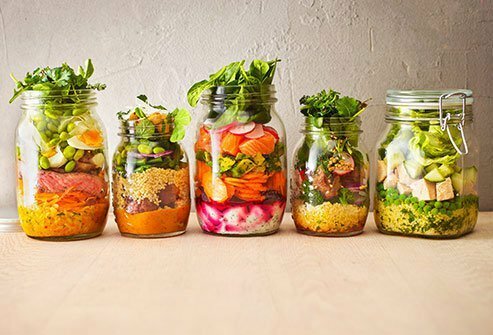 Put nuts, grains, protein, and dressing at the bottom of an 8-ounce jar, with veggies and greens on top. Or make a "wrap-less" burrito with beans, rice, and veggies. Another idea: portion out single-serve smoothie ingredients that are ready to throw in the blender. 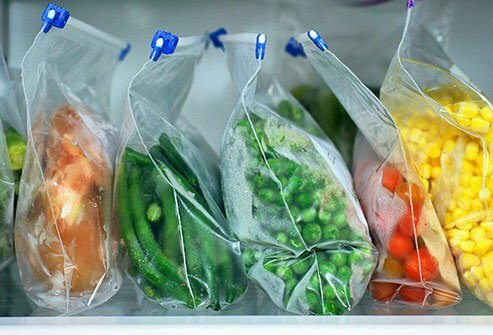 Once you have things prepped and packed, don't lose it all in the back of your fridge or freezer. Label each container with the contents and the date. Keep the stuff that's been there longer near the front so you use it first. Put food that goes bad fastest, like herbs and chopped fruit, at eye level so you don't forget about them. Jennifer Bannon, personal chef and certified functional medicine coach.